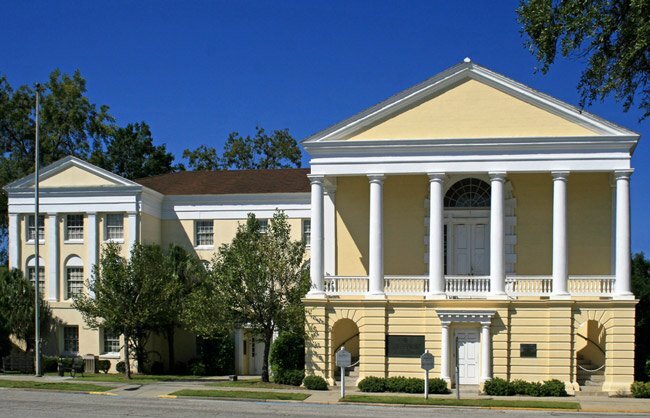 The first county courthouse to grace Georgetown – the county seat of Georgetown County – suffered damage from two hurricanes, rendering a new courthouse necessary. 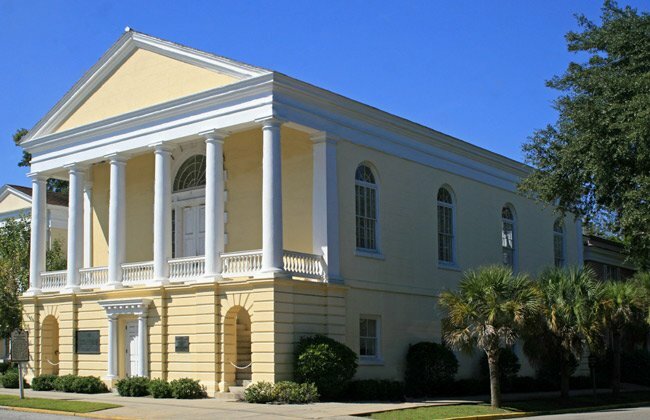 Renowned architect Robert Mills designed this Classical Revival building to replace the former courthouse. It was completed in 1824 for $12,000. Not only did Robert Mills design several buildings throughout South Carolina, including the manse in Columbia that bears his name, he is also the architect behind magnificent structures across the nation, including the Washington Monument. Third oldest city in South Carolina, Georgetown is significant historically, militarily, agriculturally and architecturally. Georgetown was laid out as a city in 1729. In 1735 Georgetown was conveyed to three trustees. A plan of the city was attached to the deed and was the first plan to be preserved. Included in the plan were 174.5 acres for the town and 100 acres for a commons. The town acreage was divided into blocks by five streets running at right angles to the river. Much physical evidence of the past remains. The oldest existing structure in Georgetown is a dwelling which dates from ca. 1737. 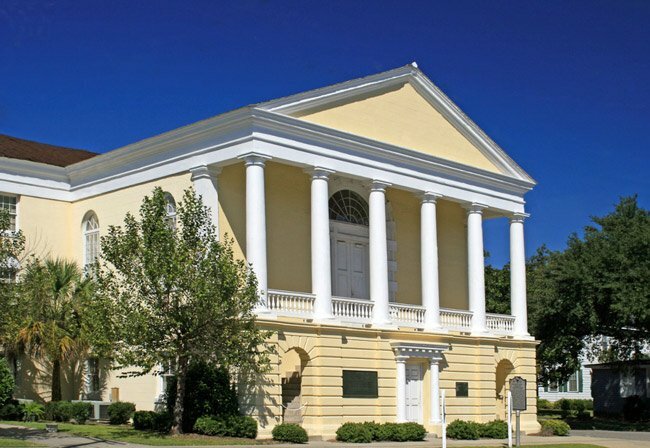 There are approximately twenty-eight additional 18th century structures as well as eighteen buildings erected during the 19th century prior to the Civil War. The existing structures—homes, churches, public buildings—are of both historical and architectural significance and are situated on heavily shaded, wide streets. The architecture ranges from the simplicity of early colonial, or Georgian, to the elaborate rice plantation era, such as Classical Revival.